There's been a bit of remodeling over at Gateway--the company's FX, DX, and SX desktop lines have been given a facelift, and are sporting bold new designs to match their blazing fast Sandy Bridge processors. The $999 Gateway FX6850-51 is the heavy lifter of the bunch, equipped with a second-generation Core i7 2600 processor, 8GB of RAM, a 1TB hard drive, and Nvidia's GeForce GT440 graphics card. Gateway's FX series has always delivered strong performance at a great price--we recently checked out the Gateway FX6803, and while it didn't top the charts, it offered a strong value. 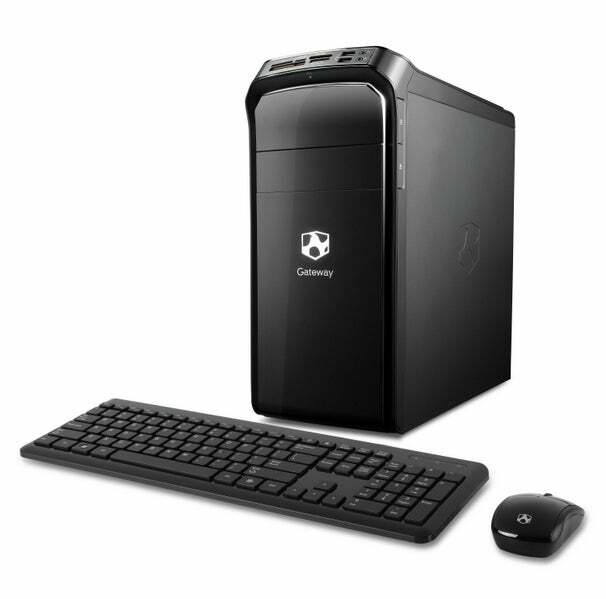 The FX6850-51's relatively low price tag, coupled with impressive specs, has all the makings of a strong contender. For the media mavens, there's Gateway's DX Series. These midtower PCs range from $599 to $749, and are designed to serve as entertainment hubs. There are a few models in the lineup, equipped with second generation Core i5 processor and options including built-in wireless connectivity, up to 3.5TB of storage, 5.1-channel audio, and Blu-ray drives. There's also the choice between a discrete Nvidia card, or Sandy Bridge's revamped integrated graphics. As we saw in our testing, Intel's latest foray into integrated graphics might not be a great fit for gaming, but they're more than capable of tackling video-related tasks. Finally, there's Gateway's SX series. These Budget desktops have always offered strong price-to-performance ratios and beefy hard drives at a palatable price--Gateway's SX2840-01 has been a favorite on our Budget charts for quite some time. The new models in the SX line will range from $499 to $549, and will offer AMD and Intel processors, up to 6GB of RAM, integrated and discrete graphics options, and up to 1TB hard drives. The revamped Gateway FX, DX, and SX series desktops will be available at select retailers in about a week. We'll be taking a look at the revamped designs this week, so stay tuned for our hands-on coverage. Check out PCWorld's complete coverage of CES 2011 .